Fine-tuning your studio or desktop music setup? 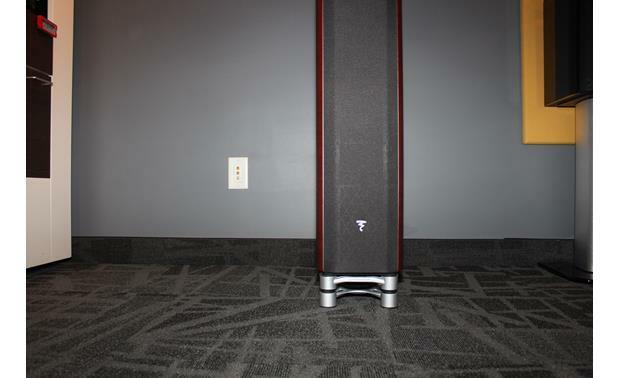 Then check out the IsoAcoustics Aperta 200s. Fine-tuning your studio or desktop music setup? 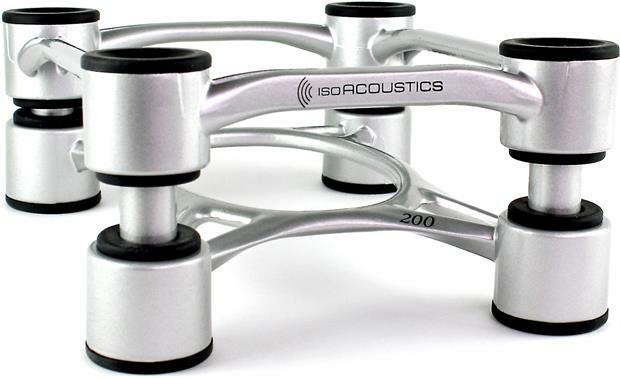 Then check out the IsoAcoustics Aperta 200s. 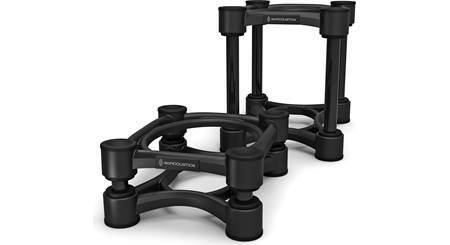 These sculpted aluminum isolation stands help you get the most out of your listening experience by reducing vibrations and other acoustic distortions. The result is cleaner sound with more distinct musical detail. The Aperta 200s isolate and decouple each speaker from its mounting surface. 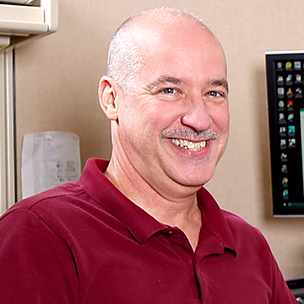 Think of it like speaker "flotation" — similar to how a car's shock absorbers work. They eliminate the transfer of energy from your speakers to surrounding surfaces, which means you'll hear clearer, more transparent sound. The Aperta 200s feature a unique integrated tilt adjustment system so you can dial in the perfect angle. This lets you make sure that each speaker's tweeter is pointed directly at your ears for the best performance. 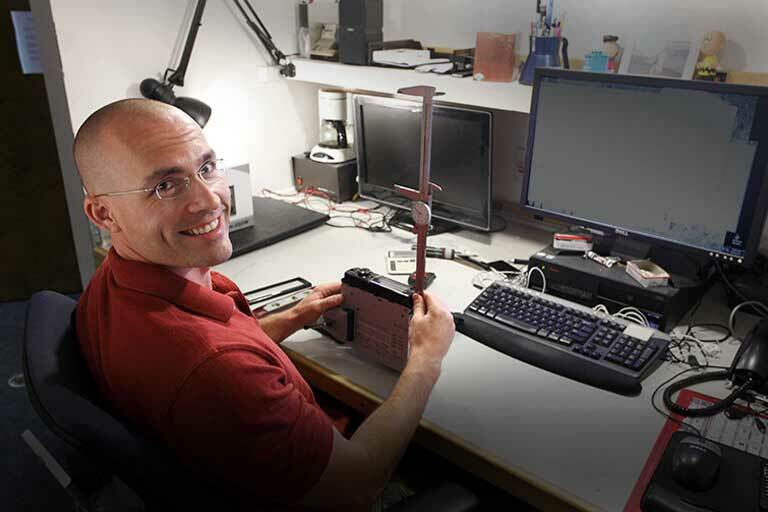 each stand supports up to 75 lbs. Does the speaker have to be perfect fit? Does not have to be the perfect fit. 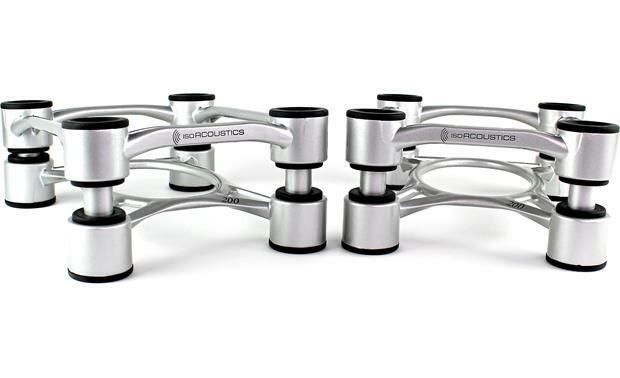 Compatibility: The IsoAcoustics Aperta 200 is designed for bookshelf, desktop speakers, studio monitors, and large speakers on floor stands, as well as under floor-standing speakers with the bottom sections of 7.8125" (w) x 10" deep, to cover the four isolators. Your speakers may have a modest overhand beyond the stand. The Aperta 200 can support up to 75 lbs. The stands "IsoAcoustics" logo should be turned towards the listening position. 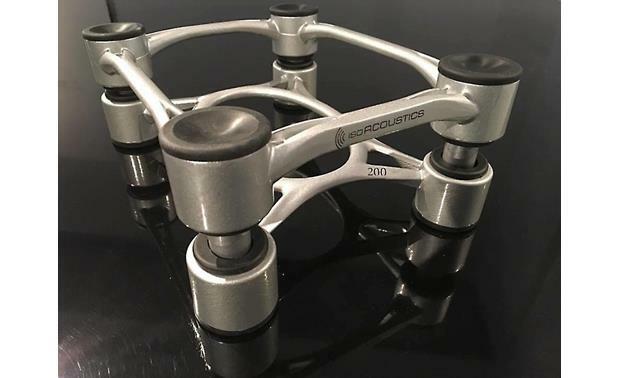 Angle Adjustment: The IsoAcoustics Aperta 200 stands feature a unique integrated tilt adjustment to dial-in the optimum tilt angle, with fine gradation markings provided to ensure the precision of the angle adjustments. Adjustments of up to a 6 degree angle can be made to tilt speakers up or down to attain greater focus. Isolators: Isolators prevent the transfer of speaker cabinet energy to surrounding surfaces, effectively isolating the speaker from the desktop, bookshelf, floor, or other surface. By allowing the speaker to perform in free space, it's able to sound the way it was intended. The end result is an unaltered, accurate sound, true to the artist's original intention. 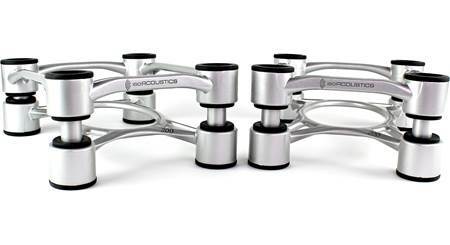 Searches related to the IsoAcoustics Aperta 200 Isolation stands for studio monitor, bookshelf, and floor-standing speakers.